Big Checks for TWO Great Non-Profits from RFYL! 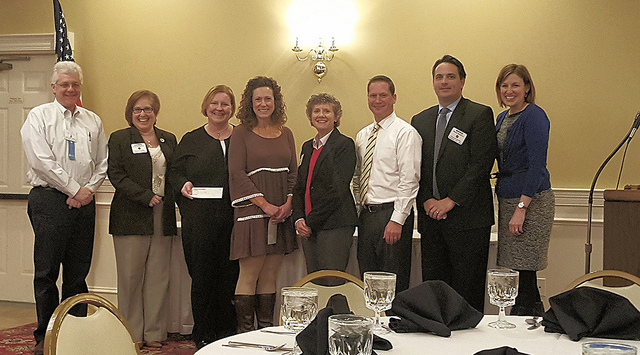 RFYL Gives Checks to Crayons 2 Classrooms & The Kettering Backpack Program! The 'Run for Your Life' Committee and Sponsors were thrilled today to give much needed funds for two very worthy non-profits: The Crayon's 2 Classrooms project and The Kettering Backpack Program. The check presentation was followed by two informative updates from the recipients to let us know the need for their services in our communities, how the funds are used and the criteria used for selecting those in need. Thank you ladies for your hard work in making our community a better place for children to grow up and thrive, and thank you to our amazing RFYL committee for another successful run!